Monarchy Bistro was opened on April 2014. It is Martin Natadipraja the man behind Monarchy Bistro, a young entrepreneur with culinary background makes it clear that this is more than a new F&B business, particularly in Bogor. He graduated from At-Sunrice GlobalChef Academy, Singapore in 2010 and currently working as Manager of Monarchy Bistro as well as Head Chef. I had a visit on weekday for lunch as Monarchy is usually very crowded on weekend. The interior is quite nice, with industrial minimalist concept, clean, and wide space between tables. Compared to restaurant in Jakarta, the price range is relatively cheap. They serve salad, pizza, pasta, steak, and more. I asked for a recommendation, the waitress said I should go for their pizza or their famous Beer Battered Fish and Chips. But I'm not in the mood for fried food that day. 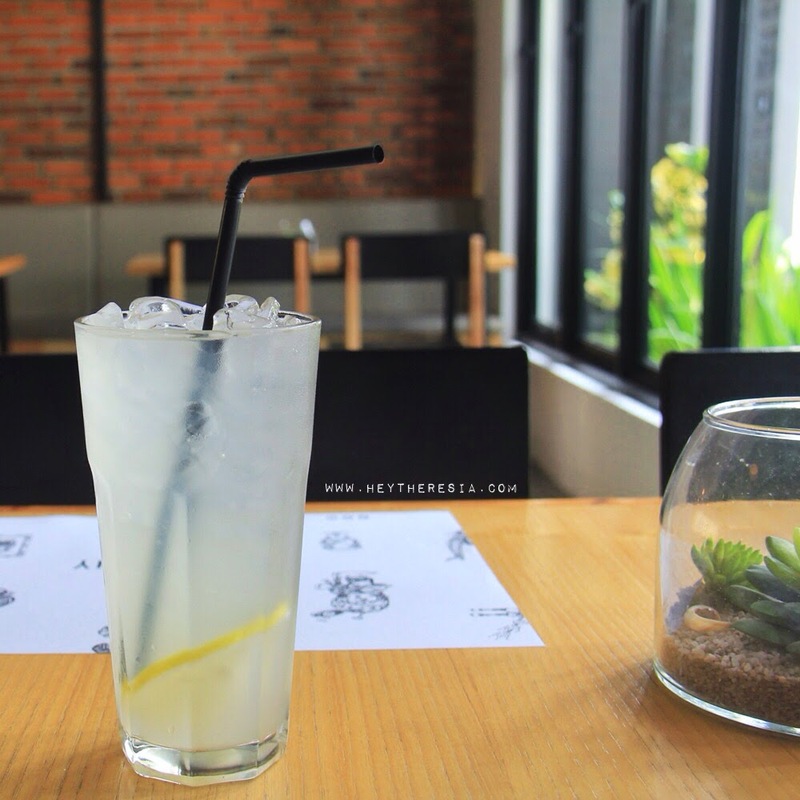 So, I ordered a Salad with Honey Citrus Dressing (IDR 28.000), steak, and Lemonade (IDR 22.000). 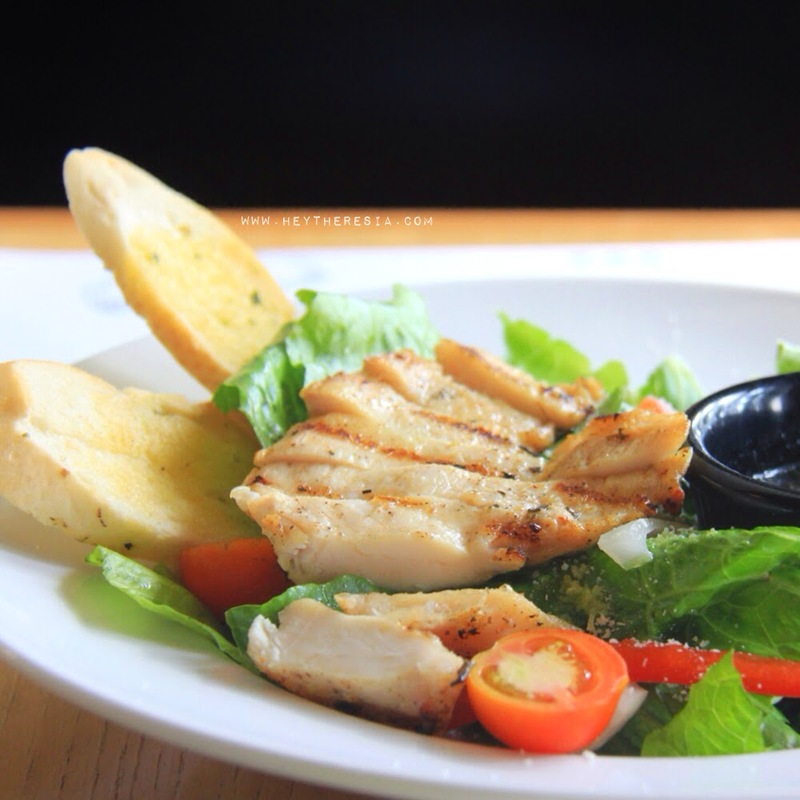 The salad was served with grilled chicken breast, garlic bread, and grated parmesan cheese. I personally love the honey citrus dressing, but the grilled chicken was not as I expected. 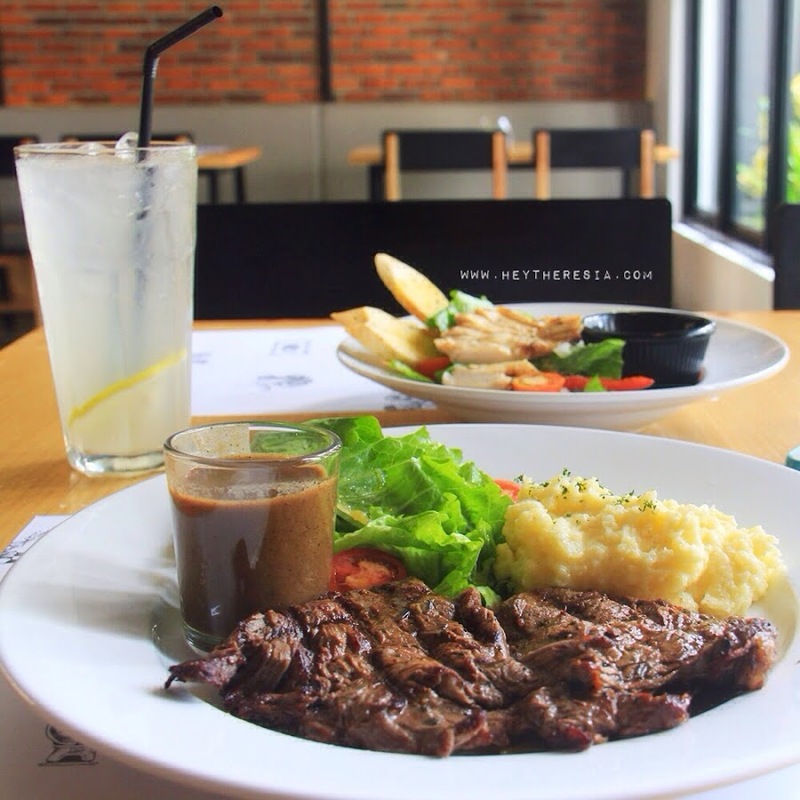 For the steak, they have 5 selections to choose, sirloin, tenderloin, rib eye, salmon, and wagyu. 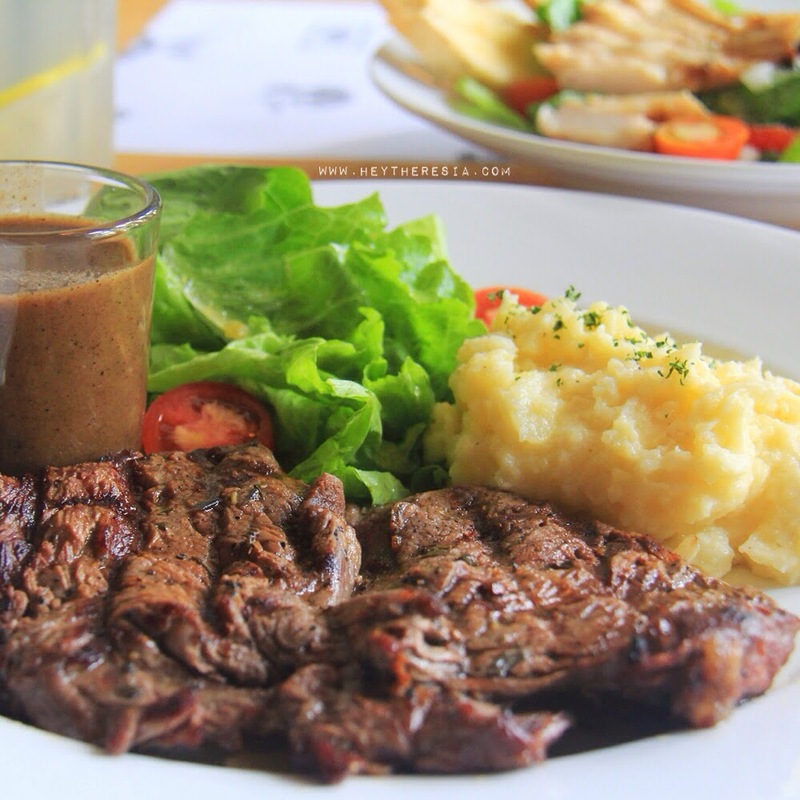 I decided to have a medium Tenderloin Steak (IDR 95.000) with mushroom gravy and mashed potato as a side. It was perfectly cooked medium steak, nice, and juicy. It was a great lunch anyway, cozy place, good food, and friendly service. Monarchy Bistro is a nice place to have dinner, hang-out with friends on weekend, or for a Sunday lunch with family. It's a casual dining restaurant, not really as formal as you think when you heard 'bistro'. I'd love to come back there to try their famous pizza and other menus, well especially for the Shepherd's Pie, sounds good as not many places serve it here. 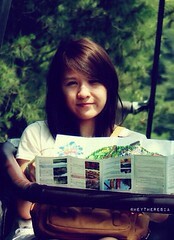 If you're coming from Tol Jagorawi exit Bogor, turn left to jalan Pajajaran. Drive about few meters, turn left after Giant supermarket. You'll see De'leuit restaurant on your left. Turn right to the BMC (Bogor Medical Center), Monarchy is on the right, at the same street and just few buildings away from BMC.